Thomas Penson De Quincey (/də ˈkwɪnsi/; 15 August 1785 – 8 December 1859) was an English essayist, best known for his Confessions of an English Opium-Eater (1821). Many scholars suggest that in publishing this work De Quincey inaugurated the tradition of addiction literature in the West. Thomas Quincey was born at 86 Cross Street, Manchester, Lancashire. His father, a successful merchant with an interest in literature, died when De Quincey was quite young. 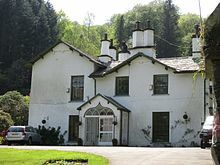 Soon after his birth the family went to The Farm and then later to Greenheys, a larger country house in Chorlton-on-Medlock near Manchester. In 1796, three years after the death of his father, Thomas Quincey, his mother – the erstwhile Elizabeth Penson – took the name "De Quincey." In the same year, De Quincey's mother moved to Bath, Somerset, and enrolled him at King Edward's School. De Quincey was a weak and sickly child. His youth was spent in solitude, and when his elder brother, William, came home, he wreaked havoc in the quiet surroundings. De Quincey's mother (who counted Hannah More amongst her friends) was a woman of strong character and intelligence, but seems to have inspired more awe than affection in her children. She brought them up strictly, taking De Quincey out of school after three years because she was afraid he would become big-headed, and sending him to an inferior school at Wingfield in Wiltshire. 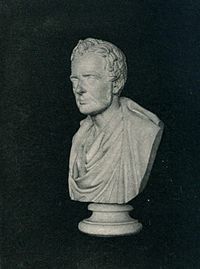 It is said that at this time, in 1799, De Quincey first read Lyrical Ballads by Wordsworth and Coleridge. In 1800, De Quincey, aged 15, was ready for the University of Oxford; his scholarship was far in advance of his years. "That boy," his master at Bath had said, "could harangue an Athenian mob better than you or I could address an English one." He was sent to Manchester Grammar School, in order that after three years' stay he might obtain a scholarship to Brasenose College, Oxford, but he took flight after 19 months. From this time on De Quincey maintained himself by contributing to various magazines. 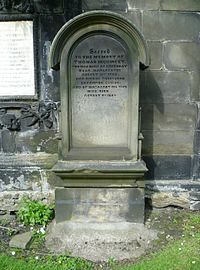 He soon exchanged London and the Lakes for Edinburgh, the nearby village of Polton, and Glasgow; he spent the remainder of his life in Scotland. 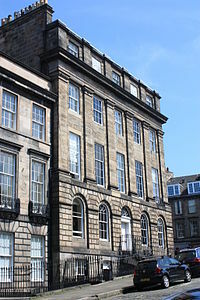 In the 1830s he is listed as living at 1 Forres Street, a large townhouse on the edge of the Moray Estate in Edinburgh. Dario Argento used De Quincey's Suspiria, particularly "Levana and Our Ladies of Sorrow", as an inspiration for his "Three Mothers" trilogy of films, which include Suspiria, Inferno and The Mother of Tears. This influence carried over into Luca Guadagnino's 2018 version of the film. Shelby Hughes created Jynxies Natural Habitat, an online archive of stamp art on glassine heroin bags, under the pseudonym "Dequincey Jinxey," in reference to De Quincey. She also used the pseudonym in interviews related to the archive. ^ "Nomination for the English Lake District Cultural Landscape: An Evolving Masterpiece" (PDF) (PDF). Lake District National Park Partnership. 20 May 2015. p. 39. Retrieved 23 May 2016. ^ "Death of Colonel de Quincey". The New Zealand Herald. XXXI (9486). 16 April 1894. p. 5. Retrieved 10 December 2013. ^ Liukkonen, Petri. "Thomas De Quincey". Books and Writers (kirjasto.sci.fi). Finland: Kuusankoski Public Library. Archived from the original on 10 October 2014. ^ Purdon, James (6 December 2009). "The English Opium Eater by Robert Morrison". The Guardian. London. ^ "Edinburgh Post Office annual directory, 1832-1833". National Library of Scotland. p. 153. Retrieved 2018-02-25. ^ "A Parliament for a People..." (PDF). Archived from the original (PDF) on 4 September 2012. Retrieved 25 September 2011.